ASHRAE Toronto Chapter and Hamilton Chapter presents ASHRAE Distinguished Lecture Program. Effective leadership is essential in ASHRAE committee work. The distinctions between management and leadership are brought forth, together with major concepts defining effective leadership. Concepts of group dynamics, including non-verbal communication styles are also presented. Victor W. Goldschmidt, Ph. 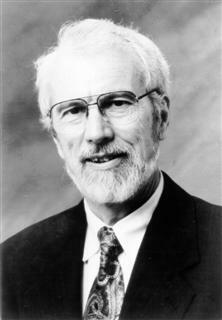 D.
Victor W. Goldschmidt, Emeritus Mechanical Engineering Professor, served at Purdue University from 1964 through 2000. He is currently serving as a Leelanau Township Trustee and Planning Commissioner as well as a facilitator and engineering consultant. During his 36 years at Purdue University, Mr. Goldschmidt was responsible for educating mechanical engineering students, including the direction of graduate research in the HVAC area. Most of his service with graduate students was with the Ray W. Herrick Laboratories with heavy support from the HVAC industries. During early stages of his career, he served as Director of the Engineering Purdue Fellows in Latin America; during later stages he served as department head for Freshman Engineering. Prior to his academic involvement, he worked in Applications Engineering and Development Engineering with Honeywell. Mr. Goldschmidt has taught almost every course in thermal sciences offered at Purdue, as well as a special upper level technical course on the “Creative Process in Engineering.” He is trained as a Synectics (special brainstorming) facilitator and is currently engaged in the development of strategic plans and problem solving sessions. A past ASHRAE Director-at-Large, he also has served as a member of Publishing and Technology Councils. He is an ASHRAE Distinguished Service Award recipient and Fellow, as well as Honorary Member of IIR, ACAIRE, ASURVAC and AAF. He resides in North Michigan, above Traverse City.